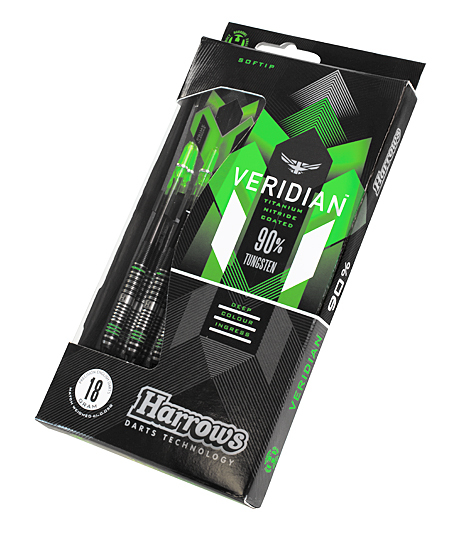 The Veridian dart range was designed to incorporate 5 different grip sections (razor, ecg, 2 rings, thrust) along the barrel. 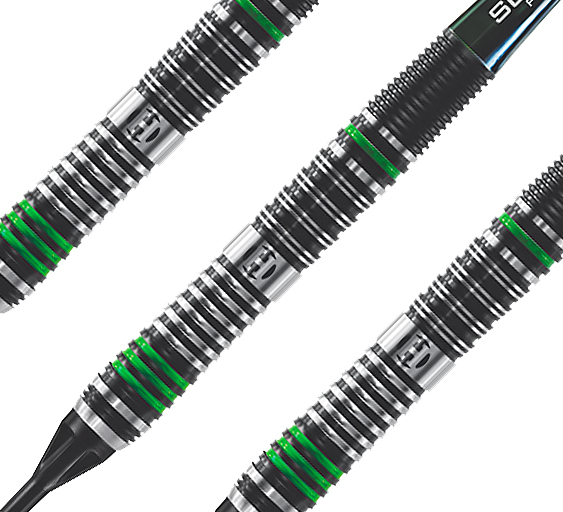 The finest injection moulded 90% Tungsten is turned on Japanese CNC machines to give a precise grip for the player- with black titanium nitride coating. 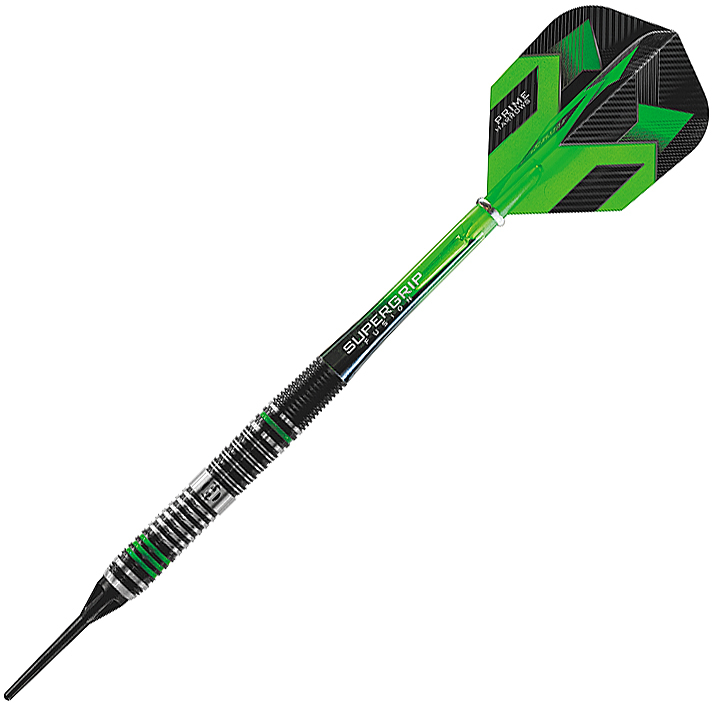 The darts are matched weighed + or - .05 grams and fitted with Supergrip shafts and Harrows Prime flights.